Just because we are beauty bloggers doesn’t mean that we are perfect, or that we always follow the standard beauty rules. Actually, we all have our flaws and we are definitely guilty of several beauty sins. At least I know I am. So I am ready to tell you what I do wrong in my daily beauty/ make-up routine, and maybe this can work as a reminder too, because you know the saying: acceptance is the first step to recovery. I always underestimated the importance of a primer. Not proud of it, but hey, it’s the truth. Until a few months ago, I didn’t really know how or why would you use one. I tried one or two primers so far, didn’t like the results, so now I am searching for that awesome great product that would help my make-up last all day long. But right now as we speak, I don’t have one in my make-up bag. 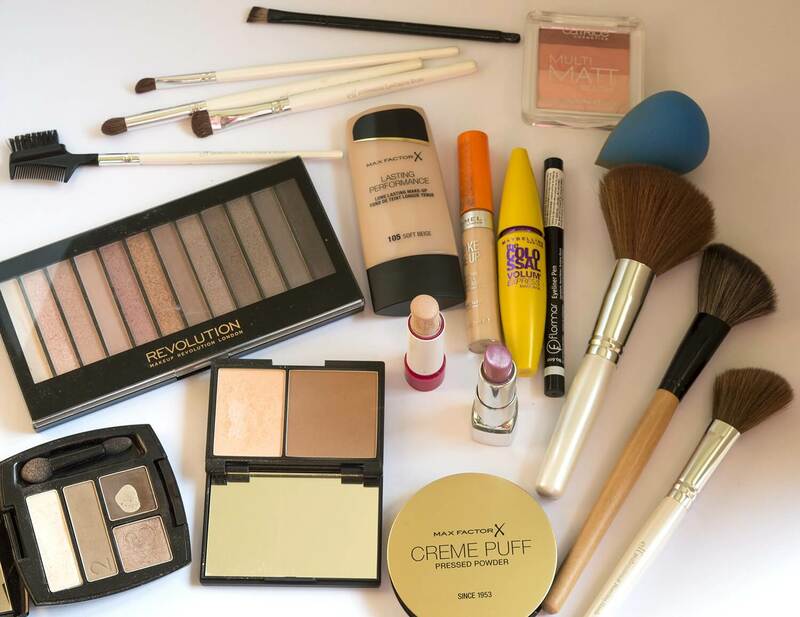 I wash my foundation brushes and sponges regularly, as often as I can, because I want to avoid any breakouts. Same goes for my concealer and eyeliner brushes. But when it comes to eyeshadow, blush or powder brushes… it’s like I always forget to wash them. I just stare at them and say “eh, you can work for a week more, you’re not so dirty” :)) Am I the only one? I never apply lipstick with a brush, and I don’t usually use a lip pencil to contour my lips before applying lipstick. Exceptions: red lipstick (in any form) or dark liquid lipsticks (which can get messy very easy). Otherwise, I just use the sharp side of the lipstick to contour the lip edges, and then cover them up with color. Lazy, but it works. Not sure if this is a beauty sin or not, but I know many people think that a make-up look is not complete if you leave the lower part undone. I usually do it only for evening make-up or shootings, but not so much on a daily basis – because I tend to scratch that area too often, so I don’t want to end up looking like a baby panda. I know you are supposed to throw it away after 3 months, but if it doesn’t change its smell or consistency, I continue to use it. Until now, I never met a mascara that didn’t last 4-5 months before starting to dry out or smell bad. There, you have it! 6 beauty sins I’m guilty of. In the past, I also did some nasty stuff, like sleeping with my make-up on (worst! choice! ever!) or over-tweezing my eyebrows (goodbye, silly teenager beauty standards). But oh well, those days are luckily gone, and I started to actually take care of my skin, and to improve the quality of the beauty products I use. Number 3. 😀 The rest I don’t do. Yep I definitely do some of these. Hey Corina, multumesc frumos 🙂 Se pare ca suntem mai multe, deci welcome to the group 🙂 Daca ma gandesc bine, ar fi aproape imposibil sa respecti toate regulile de beauty si make-up, deci e normal sa mai calcam stramb din cand in cand :)) Te pup, mersi de vizita! Great post! I dont use a primer either, I always forget about it or I dont have time!! And yes, I also use my mascara for over 3 months. Haha, foarte interesant 😉 de 1, 4,5,6 ma fac vinovata.. si ocazional fac si eu discriminare intre pensule. De numarul 5 sunt si eu vinovata, tot timpul dau cu mana pe la ochi si chiar incep sa arat ca un urs panda. No, thank you!